A 'caixer' rears up on his horse surrounded by a cheering crowd. 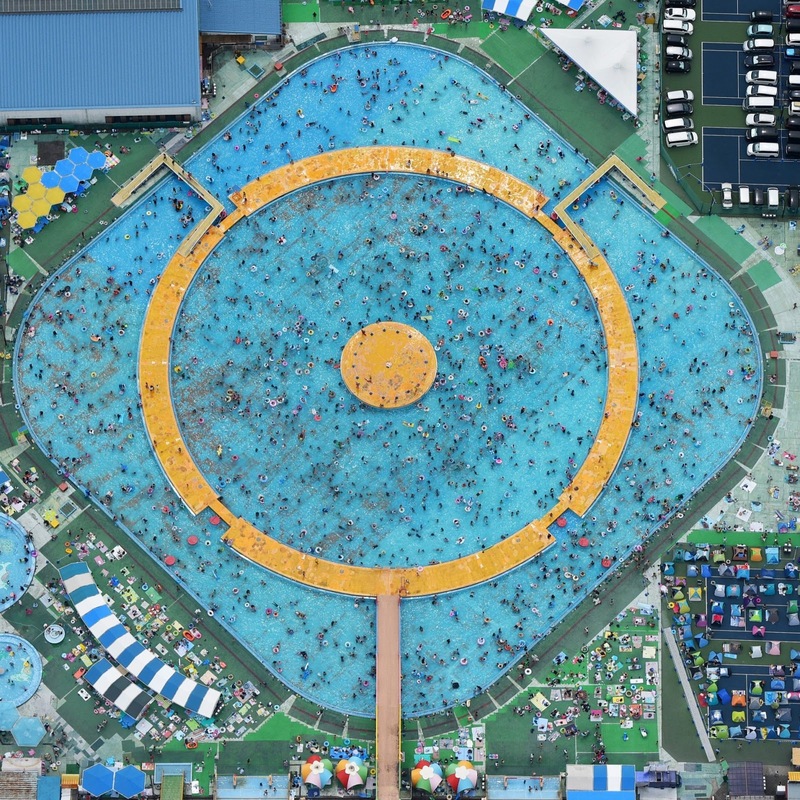 Aerial image of pool in Japan. 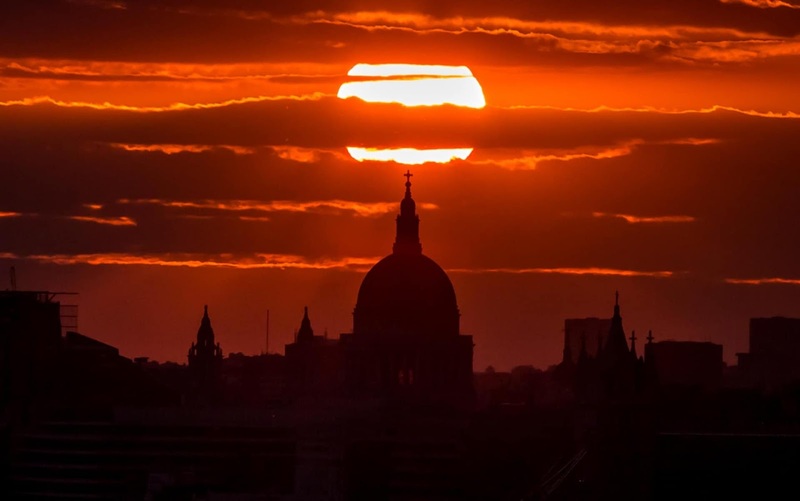 Dramatic setting sun over St. Paul's Cathedral in central London. 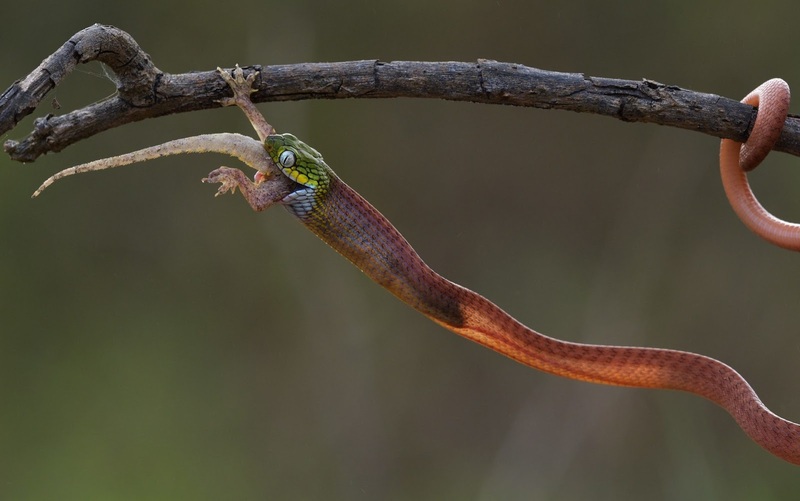 A snake shows no mercy as he swallows a helpless lizard. The ruthless attack by the Boiga Cyanea snake is over in a matter of minutes as he injects the lizard with venom before swallowing it whole. 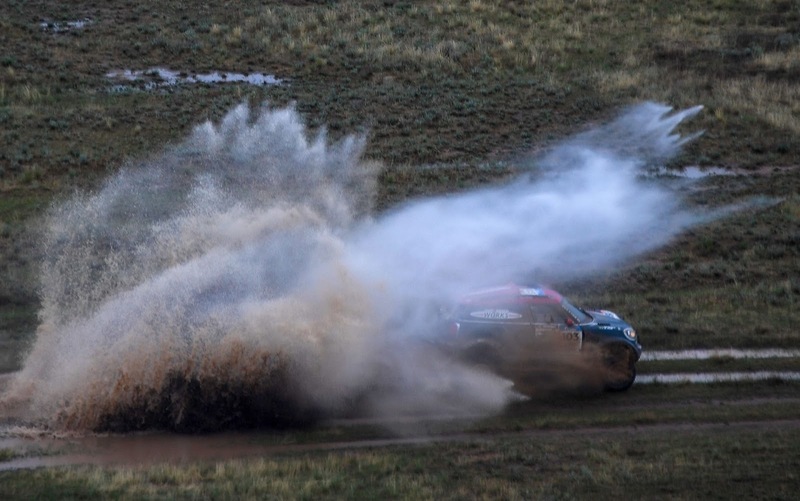 The pictures were captured by nature photographer Dao Tan Phat. 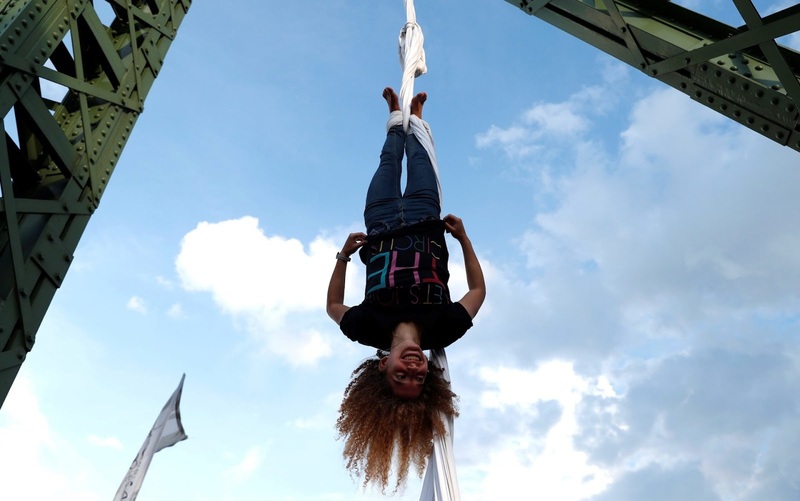 The 28-year-old witnessed the unnerving killing at Dong Nai Culture nature reserve, Vietnam. 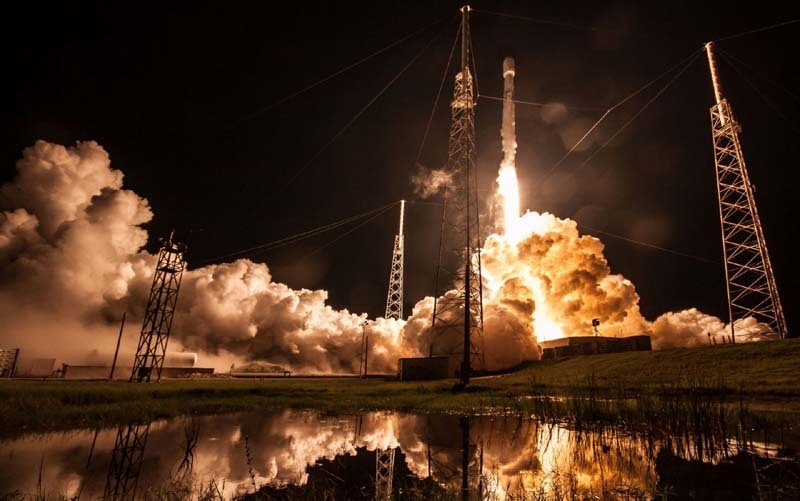 SpaceX successfully launches the Telstar 19 VANTAGE satellite from Space Launch Complex 40 (SLC-40) at Cape Canaveral Air Force Station in Florida. Telstar 19 VANTAGE is a new generation of Telesat satellites optimized to serve the types of bandwidth-intensive applications increasingly in demand by users worldwide. Following stage separation, SpaceX successfully landed Falcon 9's first stage on the "Of Course I Still Love You" droneship in the Atlantic Ocean. 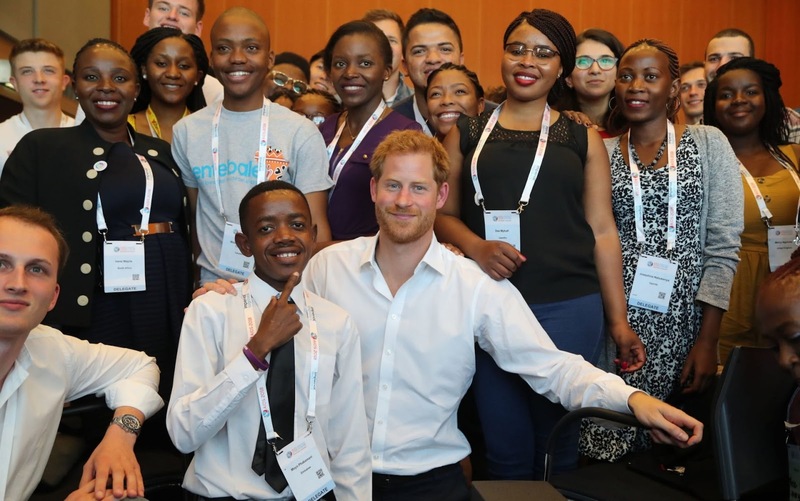 The Duke of Sussex meets with youth delegates from his charity Sentebale at the International Aids Conference at the RAI Amsterdam Convention Centre to support the continuing fight against the HIV virus. 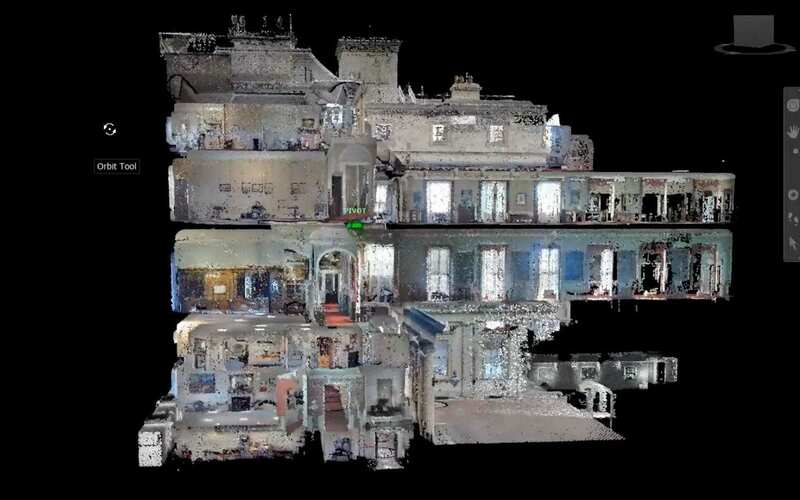 'Point Cloud' surveys are being used to help design changes to Buckingham Palace for the Reservicing Programme. The technology is being used to design lifts to make the Palace more accessible & more efficient. Point Cloud surveys have been used to map approximately 400 rooms and 515 metres of corridor in the Palace. Using this technology has allowed The Royal Household to gain information and insights into the building that we have never had before. This will help to ensure that changes made during the Reservicing programme will allow the Palace to function better, whilst protecting one of the most iconic buildings in the world. A greater understanding of the building also means that smart, cost-effective decisions can be made before building works take place. Taylor Swift performs onstage during the Taylor Swift reputation Stadium Tour at MetLife Stadium in East Rutherford, New Jersey. 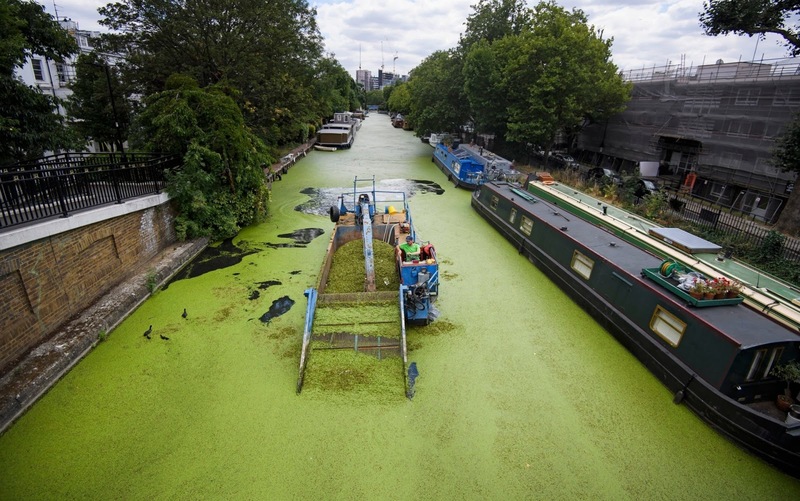 A dredger is used to remove green algae from the the Grand Union canal at Little Venice in central London. The algae flourishes in sustained periods of warm weather. 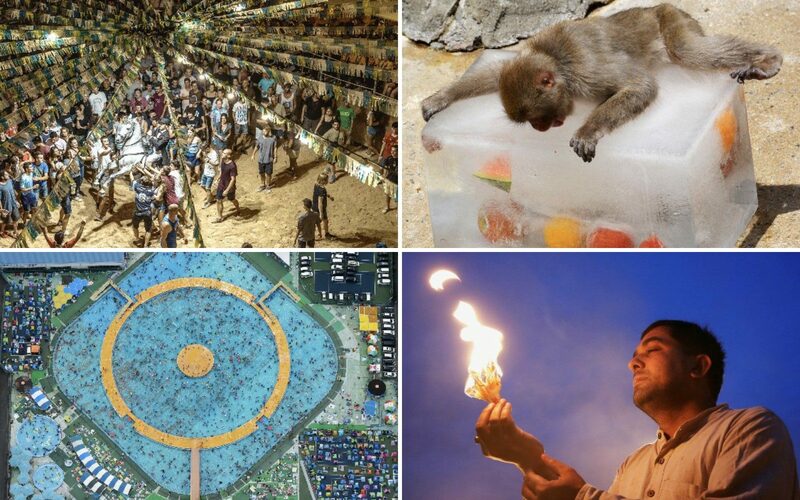 Forecasters are predicting record temperatures this week. 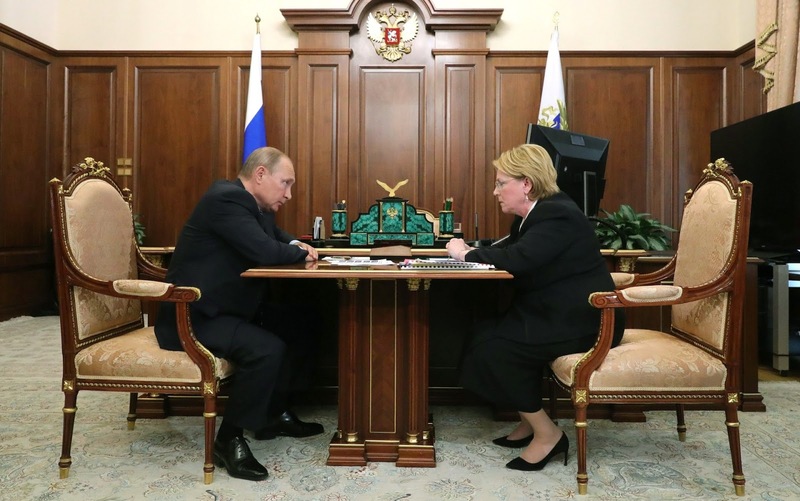 Russia's President Vladimir Putin (L) and Healthcare Minister Veronika Skvortsova talk during a meeting at the Moscow Kremlin. 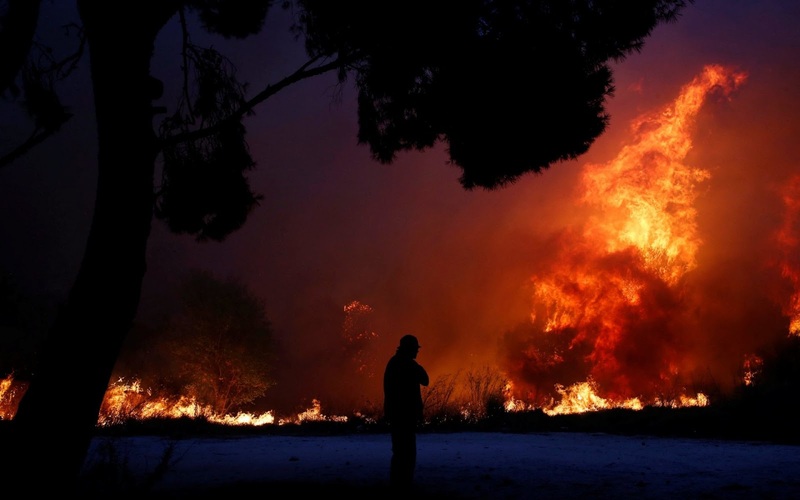 A man looks at the flames as a wildfire burns in the town of Rafina, near Athens, Greece. 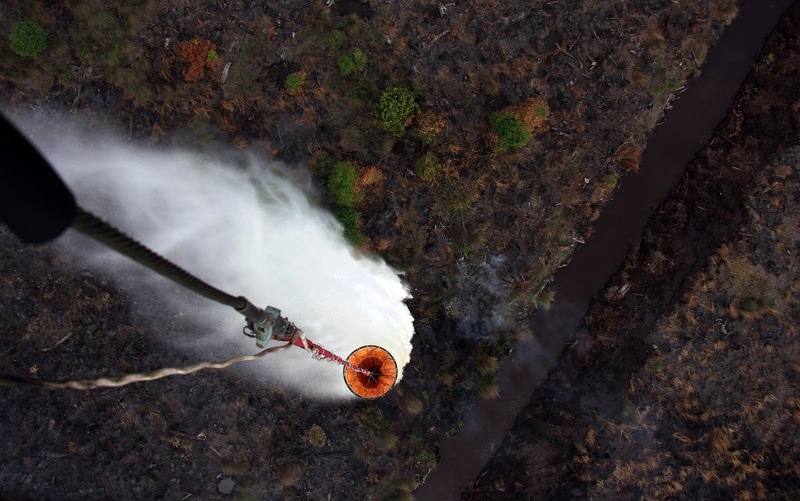 Indonesian fire fighters used a water boom capacity of 4000 liters of water to extinguish forest fires at Ogan Kemiring Ilir in South Sumatra province, Indonesia. The forest area burned on the sixth day is 200 hectares. 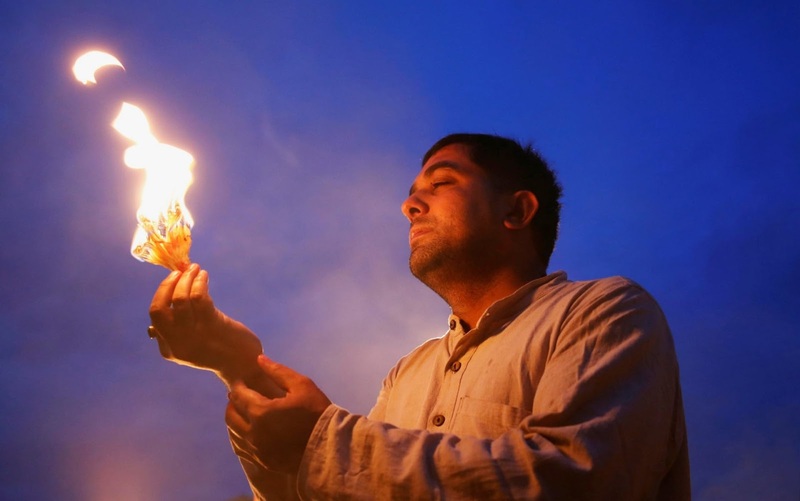 A devotee offers prayers by lighting a lamp at Pashupatinath temple to mark the Shrawan Sombar festival in Kathmandu, Nepal. The festival lasts for a month, during which devotees fast and worship Lord Shiva to pray for happiness for their families. 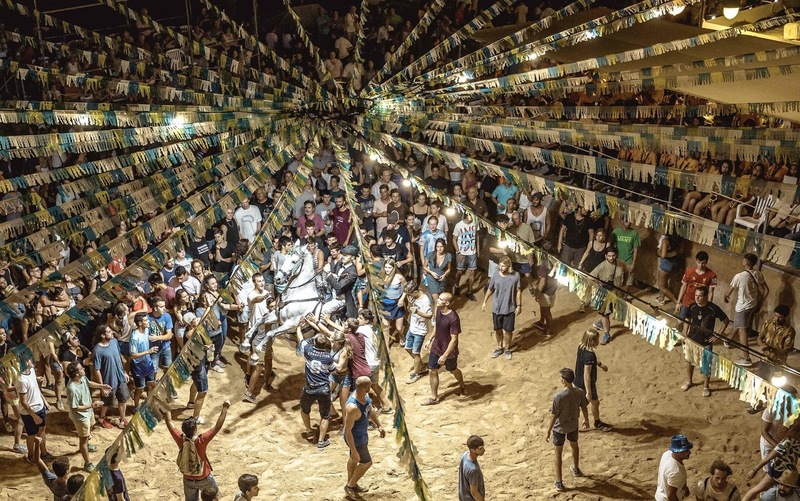 A 'caixer' (horse rider) rears up on his horse surrounded by a cheering crowd during the traditional 'Jaleo' at the Sant Antoni Festival in Fornells. 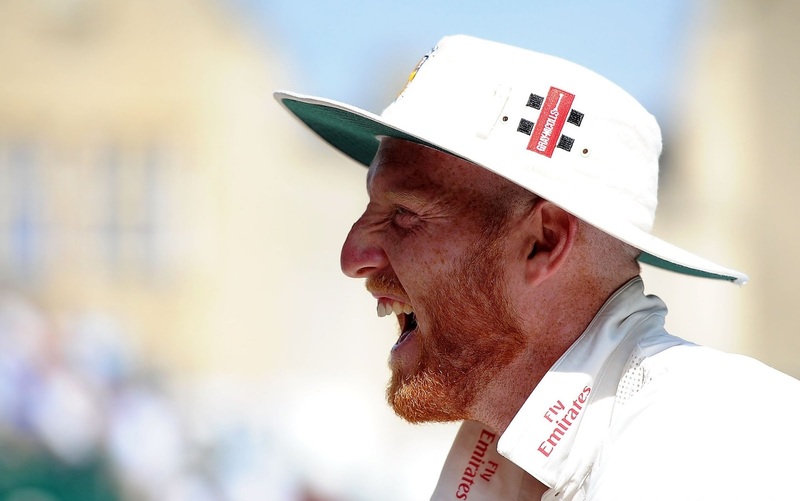 Ben Stokes of Durham laughs during Day Two of the Specsavers County Championship Division Two match between Gloucestershire and Durham at The College Ground in Cheltenham, England. 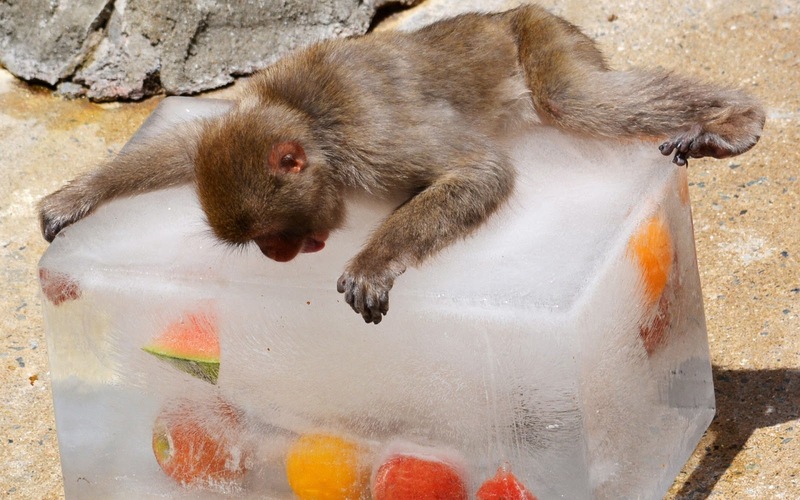 A macaque lies on ice cube containing fruits ahead of 'Taisho,' hottest day in Japanese solar term at Fukuoka Municipal Zoo and Botanical Garden in Fukuoka, Japan. 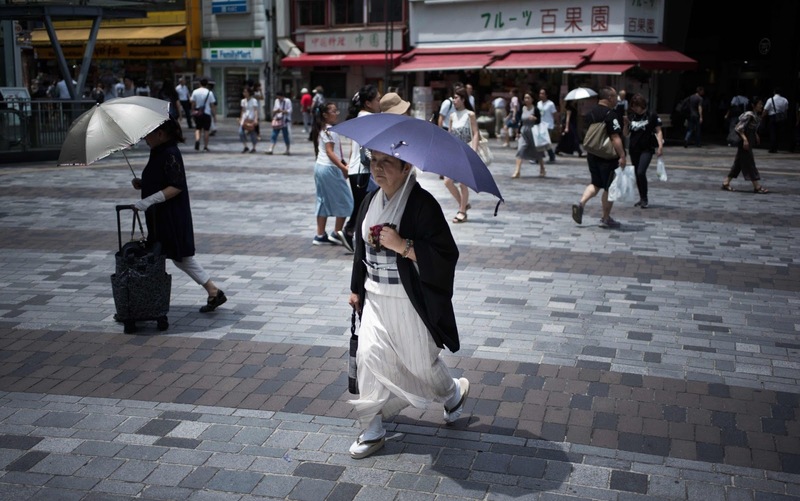 Two high-pressure systems are blanketing the Japanese archipelago at present and producing the deadly heat wave that is gripping the nation, according to the Japan Meteorological Agency. President Donald Trump and first lady Melania Trump walk from Marine One to board Air Force One at Morristown Municipal Airport, in Morristown, N.J, en route to Washington after staying at Trump National Golf Club in Bedminster. A fire that claimed the life of one firefighter and injured two others near California's Yosemite national park has almost doubled in size in three days, authorities said Friday. 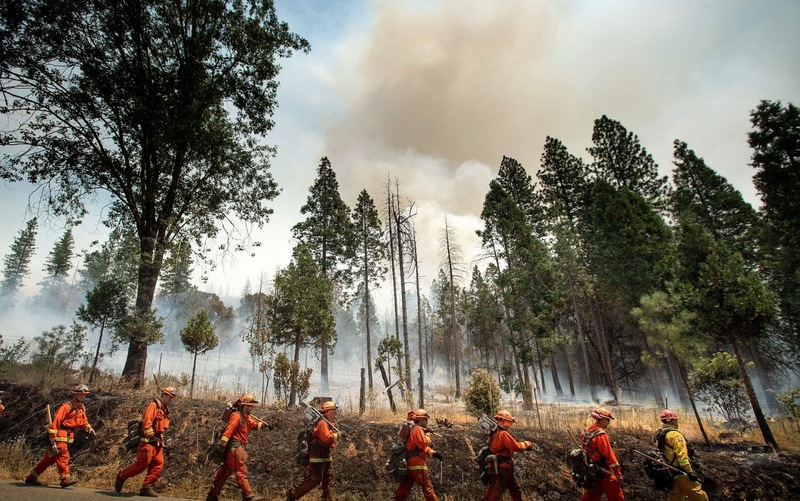 The US Department of Agriculture (USDA) said the so-called Ferguson fire had spread to an area of 22,892 acres (92.6 square kilometers), and is so far only 7 percent contained. Yokohama Pool Center is crowded by visitors in Yokohama, Kanagawa, Japan. 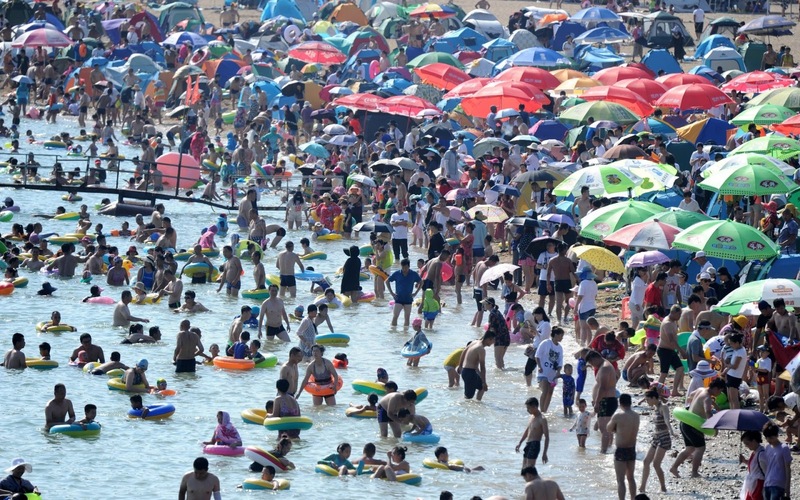 Two high-pressure systems are blanketing the Japanese archipelago at present and producing the deadly heat wave that is gripping the nation, according to the Japan Meteorological Agency. Due to the high temperatures, there were widespread reports of people dying apparently due to heatstroke.